Home » Articles » How can I trust something that doesn’t exist? Before the very first Bitcoin London conference in 2013, a survey was carried out to gauge the spread of knowledge about the cryptocurrency, four years on from launch. Although the demographic polled might have been skewed a little towards those who were more digitally switched-on the most, i.e. generally younger, tablet-using, and interested in innovation, the knowledge penetration were an astonishingly high 69%. However, out of that 69% of respondents with knowledge of Bitcoin, only 32% said that they trusted the cryptocurrency. We’re now four years on from that, but Bitcoin – and indeed cryptocurrencies in general – are still viewed with considerable suspicion. Despite being one of the most hotly-tipped investments of 2017 by Wall Street, and the future of investment, capital fund managers are still claiming that cryptocurrency values are “little or none beyond what people will pay for it” (Howard Marks, Oaktree Capital). No currencies actually exist – Unless you’ve got a pocket full of coins made from precious metals. If you’re in the UK, take a banknote out of your wallet and take a close look. The words “I promise to pay the bearer on demand” (plus the value) are printed on each note and date back to the days when they were transaction slips for gold deposits. Effectively, they’re just running cash notes, and we’ve been carrying them since the 16th century. If you can trust a five-pound note or a dollar bill, you can trust Bitcoin. 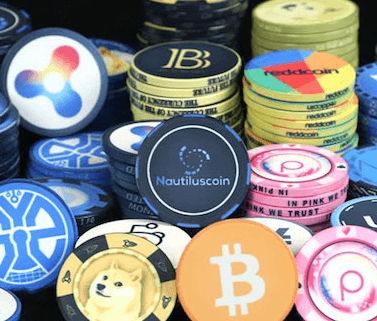 Cryptocurrencies are rapidly becoming a worldwide payment option for many reasons – they’re almost anonymous, relatively low cost (the transaction costs are usually in cents rather than in dollars), and they’re not regulated by any one bank or currency. It’s also almost impossible to manipulate the market rate of a currency that’s peer-to-peer computer code. Bitcoin is now an option for anything from flights to retail outlet purchases, not to mention online trading and investments. You trust math? Good, that makes it easier to trust cryptocurrencies. The same code that limits the supply of Bitcoin (and think about this – you can’t ‘make’ gold, so there’s a finite supply of precious metals too!) also verifies transactions, so there’s always a record of what’s bought and sold. Additionally, cryptocurrencies worry banks as they can’t control them, and that’s not necessarily a bad thing at all. The technology bypasses the bank, and is accessible to anyone who has a smartphone app at their fingertips. Two-hundred years ago, paper banknotes were viewed with derision and suspicion – a view we’re not entirely over now, as polymer notes are introduced to make forgery harder. The historic arguments about lack of value have barely changed. However, forging computer code is next to impossible, which potentially makes Bitcoin the most trustworthy and sound ‘currency’ in the world, both for investment and day to day use.